One of SEMA’s strategic aims has been to involve the younger generation, awaken an interest in all things automotive and perhaps even help young people to find careers in the automotive space. In recent years we have developed a number of programs that work toward that goal, and today the SEMA board is making its youth initiative a top priority. 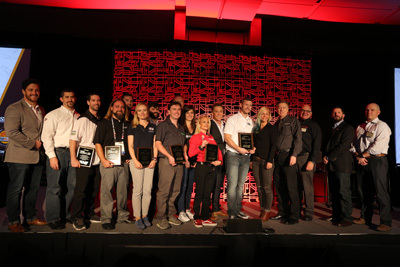 The concept of SEMA’s Launch Pad competition, powered by the Young Executives Network (YEN), has always been to identify and engage the next generation of industry leaders. Modeled after television competitions that offer young businesses a chance to win backing for their proposals, the SEMA program provides up-and-coming entrepreneurs with guidance and a platform for their ventures. The fourth annual competition in 2016 followed suit, albeit with a number of format adjustments that were intended to extend benefits to more of the finalists. When racing and the motorsports parts industry came under attack in 2016, SEMA members and race enthusiasts stood up and sent a clear message to Washington, D.C.: Don’t mess with our jobs and our passion! Racers, fans and the industry rallied around grassroots efforts to stop the U.S. Environmental Protection Agency (EPA) from prohibiting emissions modifications to motor vehicles being converted for racing and to pass legislation clarifying in federal law that this time-honored tradition is legal. Industry news from SEMA-member companies, including Denso Products and Services, Marx Group, Power Automedia, eTool Developers and more. ’18 Ford F-150: Ford's best-selling vehicle will get cosmetic changes to keep it visually interesting and tech updates underneath. ’18 GMC Terrain: Engines options will likely consist of the 2.5L four in the Terrain and possibly a turbo four or small V6. SEMA is accepting nominations for its Hall of Fame class of 2017, now through March 10. Each year, the SEMA Show is the gathering place for hundreds of exhibitors in the racing and performance markets. In 2016, Racing & Performance sprawled across more than 270,000 net square feet in the Central Hall, Racing Annex and Performance Pavilion. In addition, exhibitors entered nearly 1,000 racing and performance parts and accessories in the New Products Showcase. We’ve gathered the entries here, along with some comments from a few member-company representatives about where they anticipate future growth. 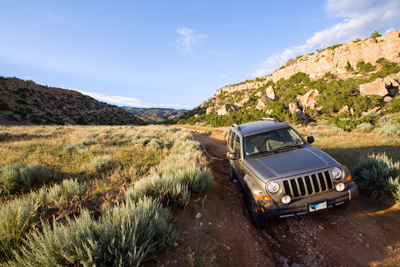 Take a lap through these innovative offerings from some of the industry’s leading manufacturers. Jon Wyly was named chief executive officer of the then newly formed SEMA Data Cooperative (SDC) in March 2012. Now, with a career in the specialty parts marketplace spanning more than 35 years, Wyly is retiring from the SDC as of April 1. The SEMA Show remains the world’s premier automotive specialty-equipment products trade event, gathering the industry’s brightest minds and hottest products in the automotive, truck, SUV, powersports and RV markets under one roof. The Show is also where car builders from throughout the country display their latest projects, featuring products from companies exhibiting at the Show, and these amazing cars have been highlighted by many media outlets. In June 1974, Petersen Publishing Company photographer Pat Brollier captured three iconic figures in one candid photograph. At left is actor Martin Sheen, next to him is Pete Chapouris, and behind them is Chapouris’ trend-setting ’34 Ford three-window coupe. They were there for the filming of The California Kid, an ABC television movie of the week. Brollier and Hot Rod magazine staffer Gray Baskerville traveled to the Soledad Canyon location north of Los Angeles to catch some of the action for a story to appear in Hot Rod’s October issue.